My husband and I have had the good fortune to share our lives with a number of truly wonderful dogs. While each was special in its own way, one comical mutt named “Grits” laid claim to the biggest portion of my heart. 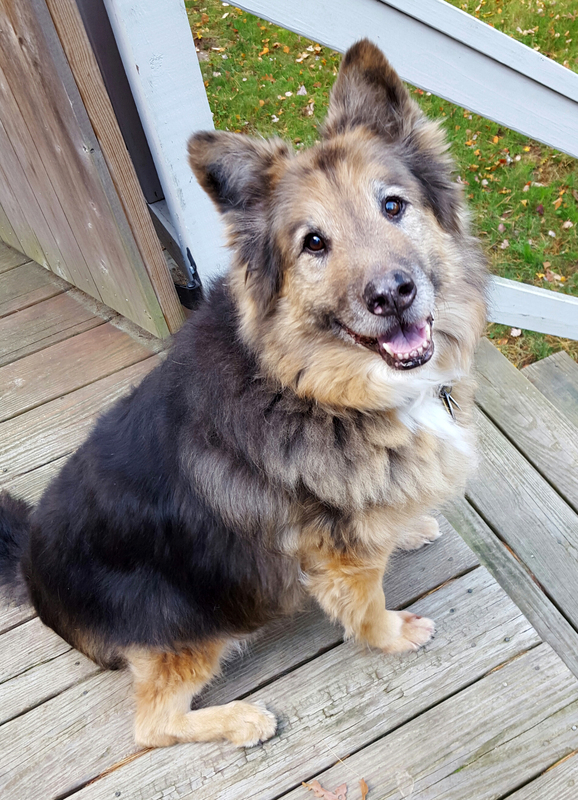 Adopted from a small shelter, Grits was a handsome mix of what we guessed was Collie, Retriever and Shepard. We soon suspected there was some Basset Hound in the recipe too, as Grits could “bay” with the power and range of first class tenor. During his years with us, Grits exhibited a joy for life that was enchanting. He greeted each day with what seemed to be an unwavering confidence that good things were about to happen. Grits also displayed an almost human sense of humor when interacting with us. 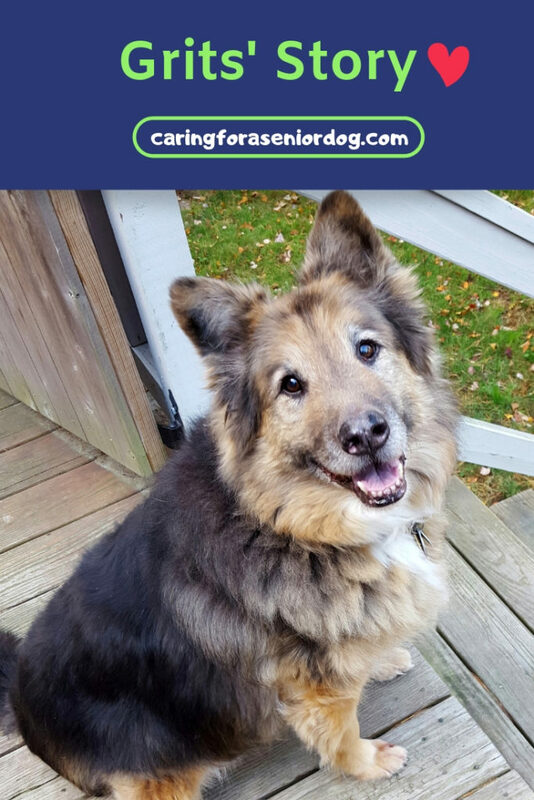 We affectionately referred to Grits as our “Drama Dog.” Always an expressive dog, as Grits advanced into senior citizenship he perfected his flair for the dramatic. Visits to the vet could be very vocal affairs no matter what the reason for the visit. When he went to a specialist for some tests, I was told to remain in the waiting room as they did not need my help with him. Soon Grits’ unhappy bays were echoing throughout the clinic and I was quickly called upon to assist. When our vet prescribed water therapy to help Grits’ arthritic hips, there was no one within hearing distance that had any doubt about Grits’ unfavorable opinion of the “water” part of the water treadmill. With three big dogs in our house, we had a few ground rules to lessen the chaos. Somewhere along the way Grits came to realize that old age gave him a ‘pass’ on those pesky house rules. While the other dogs had to do something like “sit” or “stay” for a dog biscuit, Grits could get one just for showing up. While the other dogs knew to stay out of the dining room, Grits would position himself under the dinner table just before meals knowing we would let him slide. On my arrival home from work, Grits would put on a nightly show that included a kind of choreographed set of happy circling moves set to the music of his whines, barks and bays that ended right in front of the dog biscuit jar in the kitchen. There, with laughter in his eyes, he would proceed to bay at the jar until I got the not so subtle hint as to what he was after. During the last of Grits’ 16 years with us, a cancer that he had previously battled returned. The treatment options were limited now due to his more advanced age and its aggressive nature. 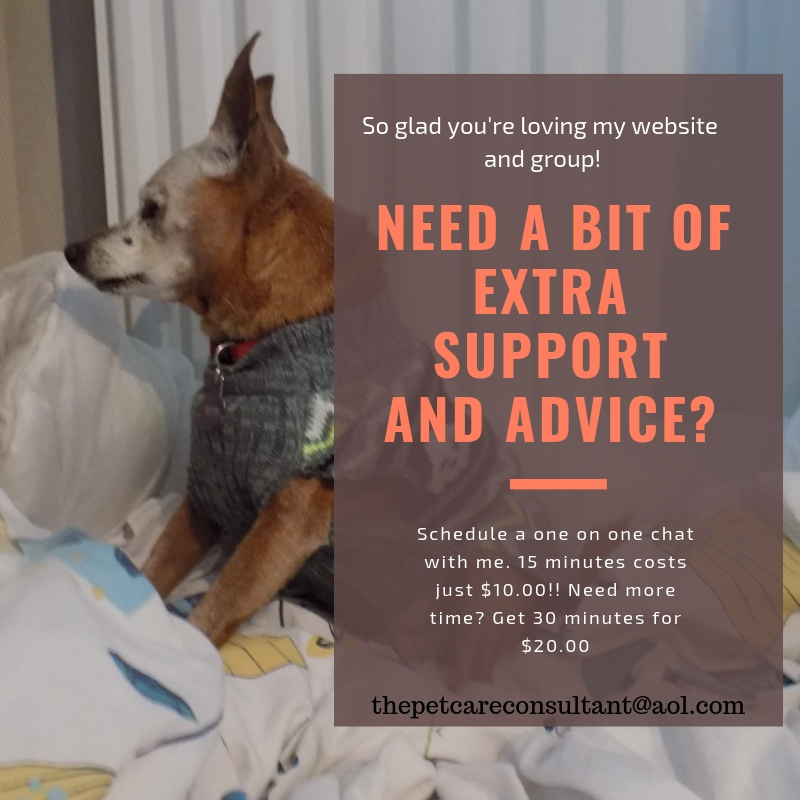 We worked with our vet to keep Grits comfortable. We also got Grits a variety of coats to protect the area impacted by the disease. 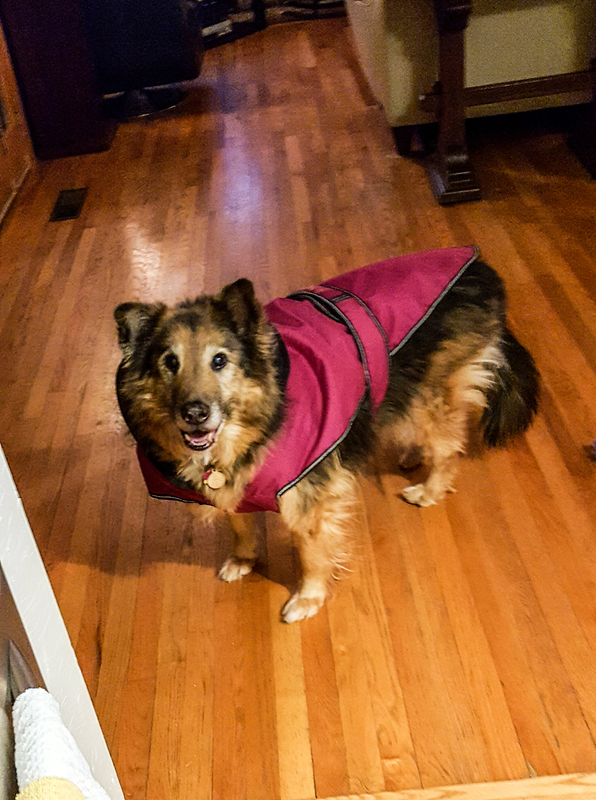 Grits took wearing the coats in stride almost as if he appreciated the added style. His strength of spirit started to wane, however, as the combination of the cancer, arthritis and hip dysplasia took its toll on his mobility. When he could no longer use the back stairs to access the rear yard, we worked to quickly get our front yard fenced. When it was complete and we let Grits explore the new space, you could see the twinkle start to return to his eyes. It was as if he understood that he was still special to us, that this space was his own private place. It was his to roam at his own meandering pace, nose to the ground enjoying each exquisite smell and blade of grass, whenever he liked for however long he had left with us. For those remaining months, Grits’ favorite thing became going out to his private yard each morning where he would happily greet the day and announce his presence with a raspier but still heartwarming bay. We are grateful for having had the opportunity to see the world through Grits’ joyful eyes. What a lovely story of a dog with character. I almost felt I knew him! And great that this rescue dog found such a loving home. I know what you mean. When I read these personal stories you get so immersed it’s like you know them too.